Today I made another card for the terrific challenge site, Freshly Made Sketches and their challenge #161 A lot of techniques were used this time, but although that was the case, I still tried to keep it fairly CAS . . . I hope I succeeded? Anyway, if you like trying techniques, stay tuned and I will list them. 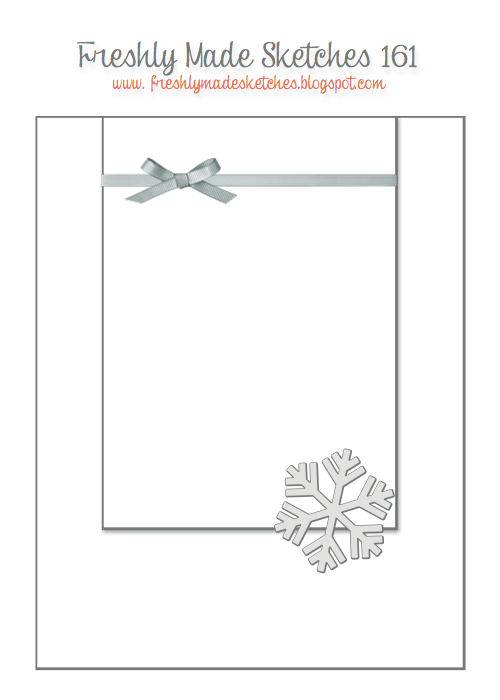 Here is the card. Sorry about the picture quality, but it is a poor day for lighting today . . . it is winter I suppose! Next, I die cut an aperture at the top of the card, as I wanted to do some die cut inlaying, and then cut the inlay piece out of white card. I also die cut six snowflakes and stacked them one on top of the other. 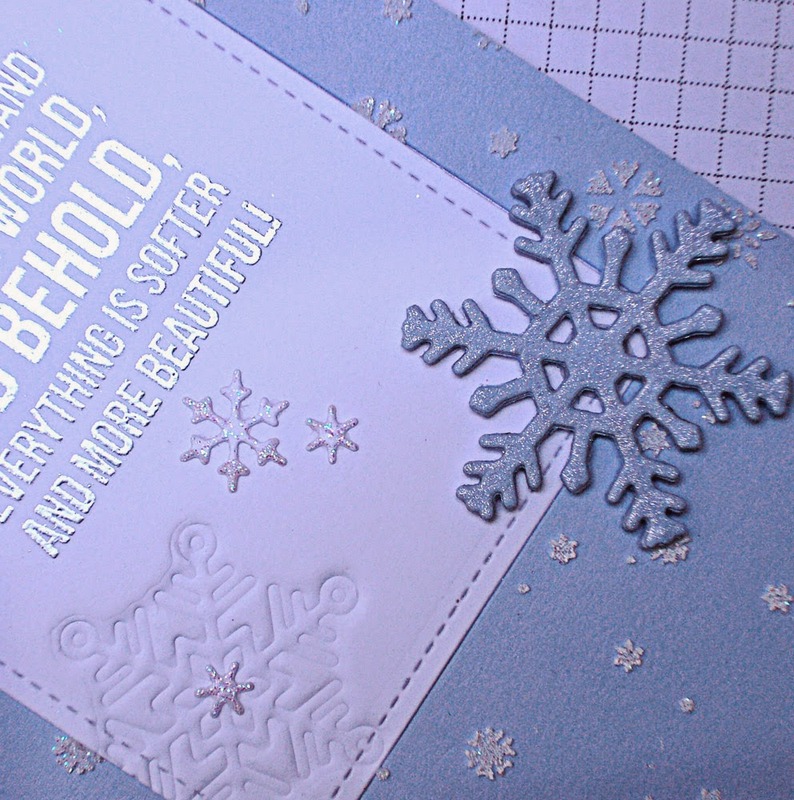 Then I heat embossed the sentiment with silver detail embossing powder and embossed the snowflake using one of the dies. 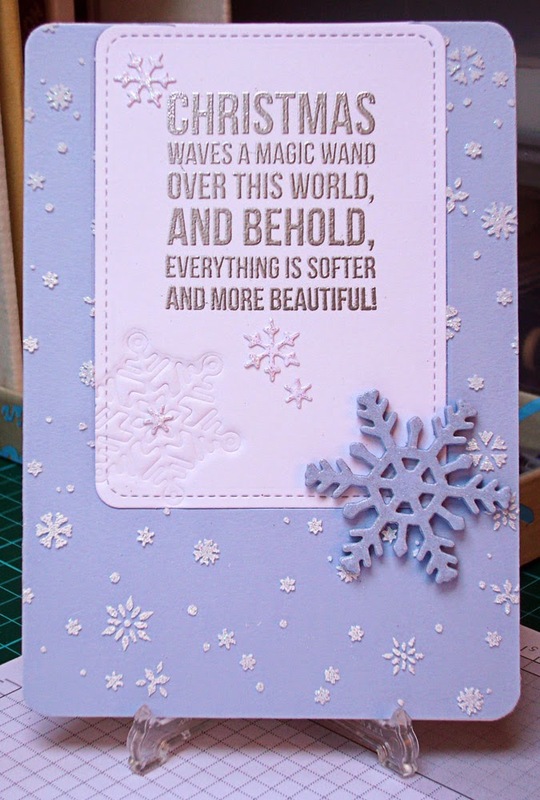 Finally, I put it all together and added a few tiny snowflakes to fill a couple of gaps that seemed to be 'missing something' (try to imagine the card without and I think you will probably agree? ), maybe not, maybe it's just me! Anyway, thanks for stopping by and if you have read this far, I truly appreciate it . . . and all of your comments! Bye for now, have a crafty day!